I was born and brought up close to London but as an adult I knew there was only one place I wanted to be - the West Country. I was soon feeling very much at home living, working and studying in Exeter. After completing an MA at Exeter University, I became curious about my family tree and to my amazement discovered that before the late 1800's all my ancestors had their roots in Devon. I still find it humbling that such a strong sense of belonging can span the centuries. I had come home. 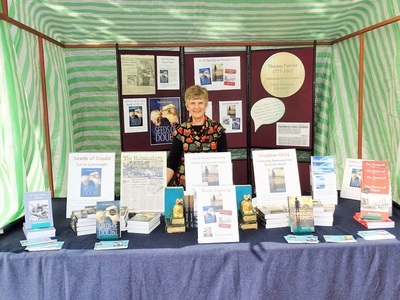 I find much of the inspiration for my books - both fiction and non-fiction - in the landscape and people of the West Country. 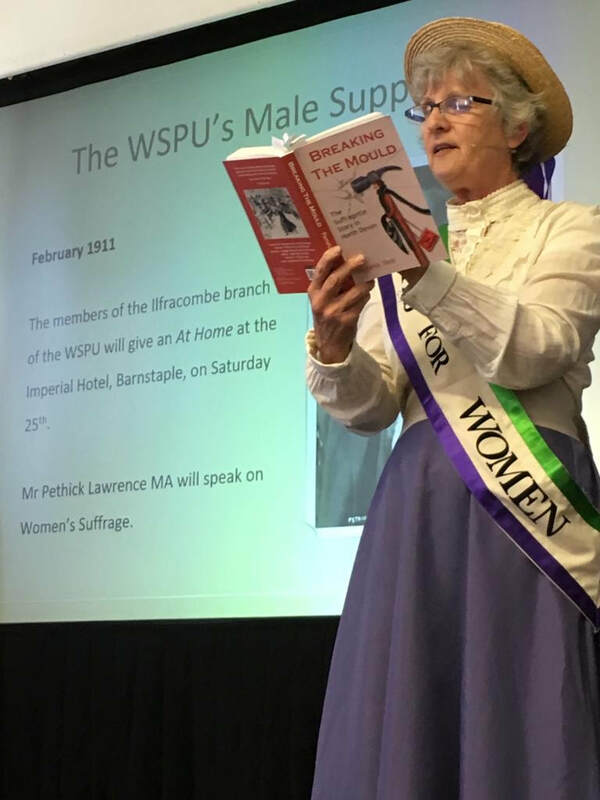 There are always rumours to explore, as with Seeds of Doubt, intriguing headlines that raise more questions than they answer, as with The Power of Three, or local stories to be told, as with Breaking the Mould, my book on the fight for the vote in the West Country. Many remember the summer of 1952 when flash-floods destroyed the small fishing village of Lynmouth on the North Devon coast. I was intrigued by rumours of government interference with the weather and spent many months accessing previously secret documents at the National Archive in Kew. This talk uncovers the incredible true story that creates the backdrop for my novel Seeds of Doubt. 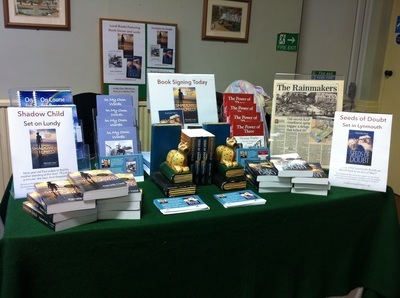 I include readings from the book and anecdotes about the research and writing process. Shadow Child tells the story of a nine-year-old boy whose mother disappears. He fights against the care system, certain of only one thing - his mother’s love. But why did she leave? Where did she go? There are anecdotes from my time as a social worker when I worked with children who struggled for what so many of us take for granted - a childhood. This is a multi-media presentation including footage from a BBC Inside Story documentary following my work with Barnardos. Surprisingly there is humour as well as a poignancy in these stories. The Power of 3: The Story of Thomas Fowler. 'Local Man invents Computer.' A startling headline for a North Devon paper, and one that launched me on a search for that local man, Thomas Fowler from Great Torrington. 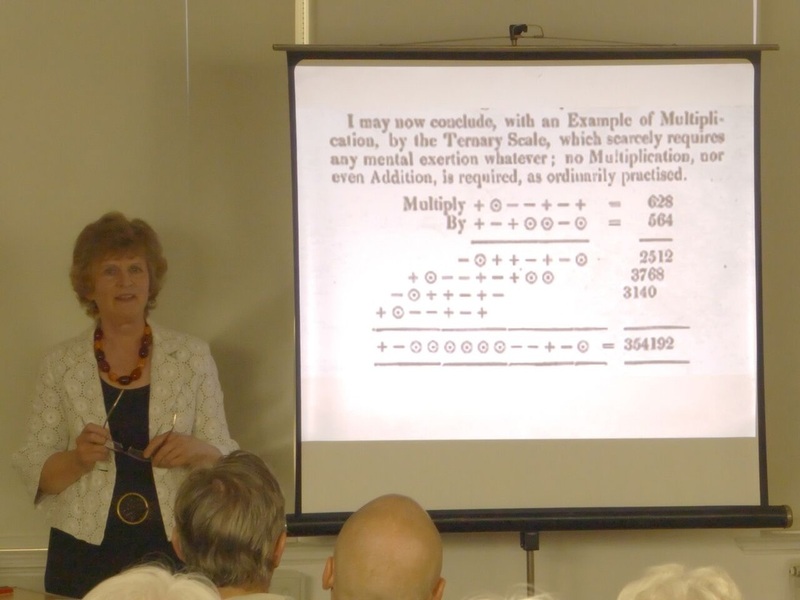 The story that emerged was of a remarkable, self-taught mathematician and inventor whose work had the potential to change the course of history. But bad fortune and prejudice dogged his footsteps and he died a bitterly disappointed man.This talk includes video, illustrations and readings from original documents of the time. On August 4th 1913, a car was spotted speeding away from Lynton in North Devon late at night. Moments later the alarm was raised as sparks were seen above a local mansion. The papers were filled with speculation that suffragettes were to blame. Truth or fiction? This one question opened a door to the fascinating story of the fight for the vote in the south west - not a tale of a sleepy rural backwater but of women prepared to protest at political meetings, recruit in the streets, join mass rallies in London, and suffer the agony of forced feeding in Holloway. All this ... and the biggest sleepover the region has ever known! 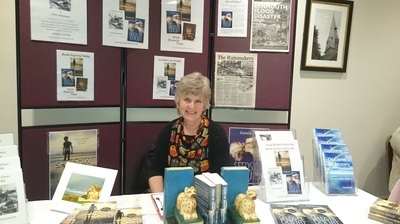 The west country holds a wealth of stories waiting for an author to bring them to life. How do we go about finding them? Perhaps with a rumour circulating about a place or an event, the starting point for my novel Seeds of Doubt. Or a snippet in a paper that raises more questions than it answers, the inspiration for The Power of Three. Or curiosity about how national events played out here, the framework for my book on the suffragettes, Breaking The Mould. This talk traces the writer's journey from original inspiration, through detailed research to the crucial decision about how the story will be told: fiction or non-fiction? Some years ago I experienced a prolonged illness; a frustrating time. It was only later that I came to see illness as an opportunity not a curse. Combining this personal experience, extensive research and my professional expertise as a tutor on a self-management course for those with a chronic illness, I devised On Course for Recovery. My personal story and this handbook form the basis for this talk describing how it is possible to find a way back to health. I ask £50 per talk, plus travel expenses, and bring all the equipment I require. I cover East Cornwall, South and North Devon. 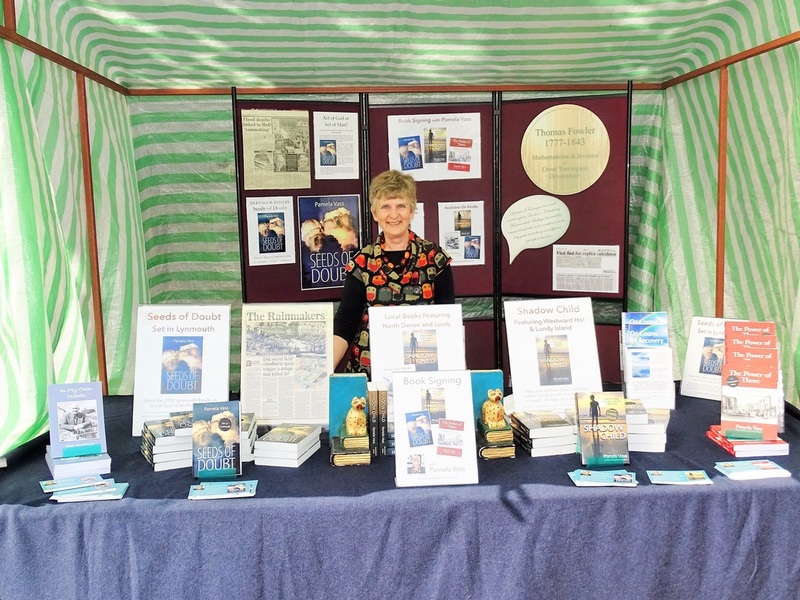 I was delighted to be invited to speak at the Appledore Book Festival this year. An audience of over 100 packed St Mary's Hall for the event. Out and about with my books. My career as a social worker with Exeter social services and Barnardos left me with vivid memories of the children in care who struggle to carve out a future for themselves. Shadow Child is fictional but inspired by, and dedicated to, those amazing young people. It was also inspired by the stunning Devon landscape. The spectacular scenery of Westward Ho! and the island of Lundy provides the dramatic backdrop for Shadow Child. See www.northdevon.com for more stunning views . Shadow Child has the classic twist in the tale, a legacy of my move from social work into the world of murder and mystery as Founder and Director of The Whodunnit Company. My amazingly talented company of actors intrigued, entertained and desperately fought to stay one step ahead of our increasingly skilled sleuths on themed events both in this country and abroad. ​One of our venues was in the coastal village of Lynmouth in North Devon. While working there, I became aware of rumours that government experimentation with the weather may have contributed to the devastating floods in 1952. Very little was known locally so I embarked on some intensive research at the National Archives at Kew. The incredible story that emerged from the documents there provides the thrilling background for Seeds of Doubt.